In-Plant Rug Cleaning is recommended for Oriental Rugs and loose woven rugs. They should not be cleaned on location like wall to wall carpet. Towers Restoration and Cleaning cares for the finest to the most basic rugs from around the world. We will pick your rug up and bring it to our special cleaning plant where it will receive our very thorough cleaning system to get maximum soil and spot removal. Having your rug cleaned in our plant allows us to give it several treatments for a more thorough cleaning, controlled drying, and the use of various tools that are not available on location. 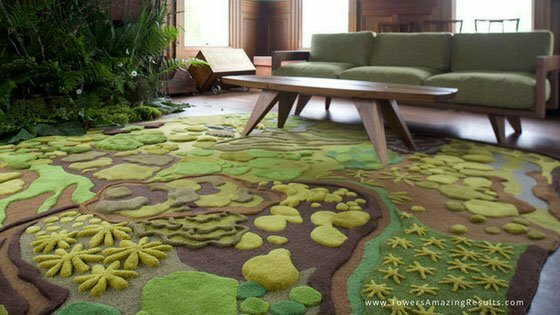 Woven rugs, especially hand knotted rugs are designed to hide dry soil. A few years ago, the Eureka company did a study and found that a 9 x 12 could hide 87 pounds of dirt! WOW! We use a variety of techniques to “dust” the rugs from the front and back. A machine called a Rug Badger to help remove dry soil, then we use an air duster to help remove the fine dust particals. This is the most important step in cleaning any textile.